International travel enables skin diseases to move around the world with increasing ease. Skin diseases transmitted through casual contact with people, animal vectors and a foreign environment are particularly prone to transport. Dermatologists need to recognize the signs and symptoms of disease not native to their environment to enable proper diagnosis and care. 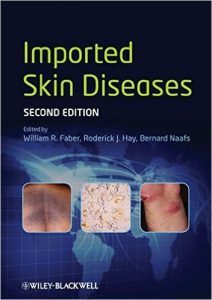 This is the first textbook linking the two disciplines of dermatology and infectious diseases. As the number of elderly, AIDS, transplant, and cancer surviving patients continues to rapidly increase worldwide, all medical personnel need to be able to rapidly recognize and treat infections. The skin is the most easily accessed and monitored of all organs and is often the first sign of infection. Knowledge of the integument’s link to infection is a must for the modern medical nurse, nurse practitioner, medical student, resident, and practitioner. To accomplish these goals, the text features authors from around the world who are considered experts in their various fields of expertise. 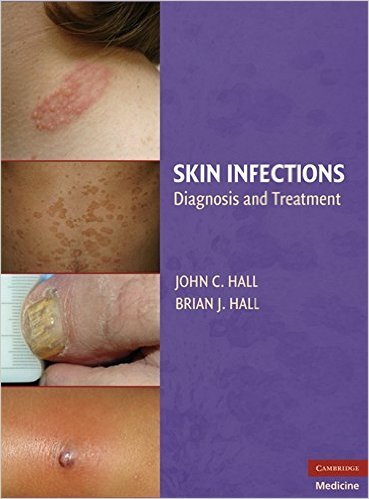 The book is organized into types of infections, locations in the integument, and specific subpopulations of patients at risk and regional variations of infections. Learn to accurately diagnose, prevent and treat all three acnes using both traditional and novel approaches to understanding the causes and selecting the most effective treatments. Acne vulgaris is an extremely common condition. It is troublesome to manage, often persisting into middle age. Exact causes are becoming clear and include several hormonal stimulants, some triggered by the Western diet, and a pathogen ignored for decades. Acnes rosacea and inversa (hidradenitis suppurativa) are discussed from entirely new viewpoints. 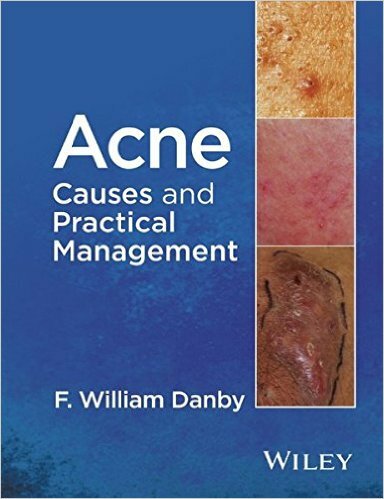 Acne: Causes and Practical Management will provide readers at all levels with a practical, well–illustrated approach to fully understanding these disorders; a faster and more cost–effective management regimen and the rationales for their prevention. 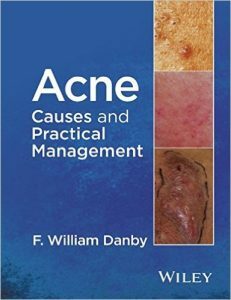 Brought to you by one of the world’s leading authorities on the subject, Acne: Causes and Practical Management will be a valuable re–education for the dermatologist and all those who treat or suffer from these three conditions. “…should serve as a standard against which all future atlases will be measured…”* . —New England Journal of Medicine, review of third edition.
. �…an excellent resource for all health care providers…”. —Journal of the American Academy of Nurse Practitioners, review of third edition.
. 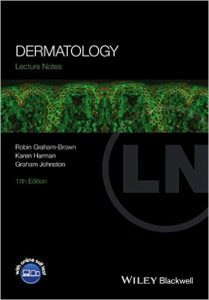 The best selling dermatology atlas in the medical market place! This unique combination of text, clinical reference, and color atlas features the best quality and most varied photographs of skin conditions important to any health care professional. Features consistent 2-page disease coverage format with description on left and photos on the right.
. NEW TO THIS EDITION. *MORE photographs � more than 100 new illustrations, many focusing on conditions affecting people of color. *MORE user friendly � color tabbing system for quick retrieval . *NEW list of related web sites for physicians and patients at the end of diseases. *NEW full-color schematic drawings of pathogenesis added to each section. 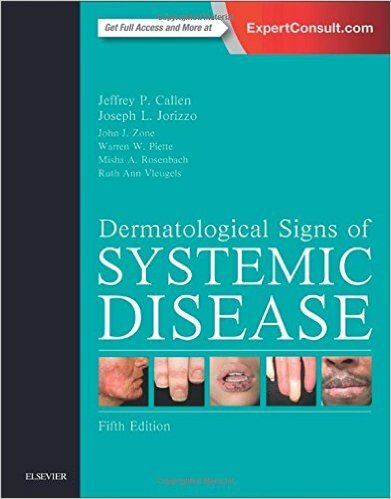 The new edition of Dermatological Signs of Systemic Disease helps you identify a full range of common and rare systemic diseases early on so they can be managed as effectively as possible. 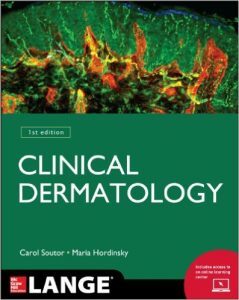 Formerly titledDermatological Signs of Internal Disease, it takes an evidence-based approach to diagnosis and treatment, offering dependable clinical recommendations that enable you to attain definitive diagnoses of internal diseases that manifest on the skin. Allows you to attain definitive diagnoses of internal diseases that manifest on the skin. Uses a consistent, user-friendly format for easy reference. 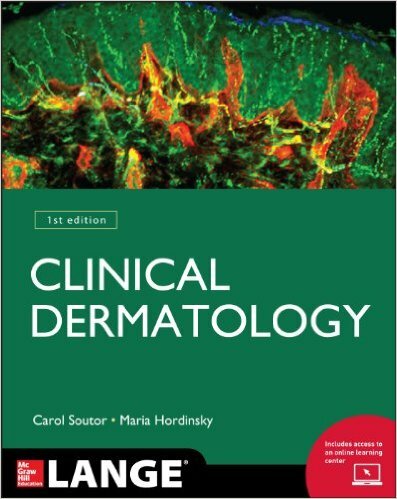 Covers hot topics such as lupus erythematosus, dermatomyositis, autoinflammatory diseases, eosinophilic and neutrophilic dermatoses, and psoriasis therapies and co-morbidities. Highlights newer therapies and treatment options for most diseases. 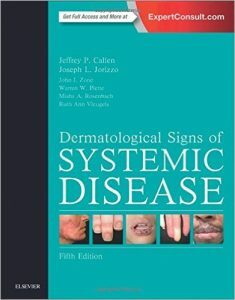 Includes over 500 full-color illustrations – 200 new to this edition – that provide the best possible representations of diseases as they appear in the clinic. Features more viewpoints from an expanded team of nationally recognized experts in their respective fields. 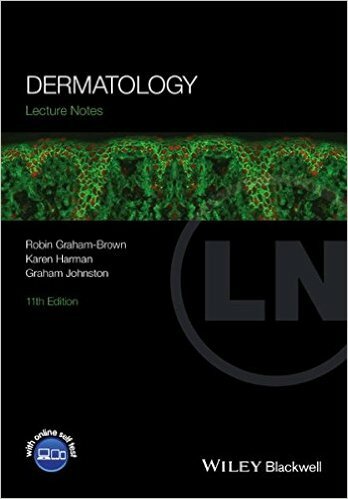 With beautiful colour artwork throughout, Dermatology Lecture Notes includes a glossary of dermatological terms, and provides an excellent balance between theory and clinical relevance. 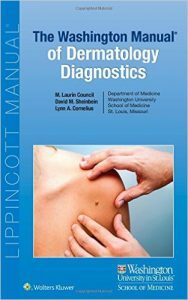 Master the nuances of dermatologic diagnosis, Washington Manual style! The Washington Manual family of references are universally respected as focused, user-friendly, clinically relevant handbooks that provide essential, “in-the-trenches” know how for physicians of all experience levels. The Washington Manual of Dermatology Diagnostics carries on this tradition, equipping you to efficiently evaluate the complete spectrum of skin disorders so you can manage them appropriately. 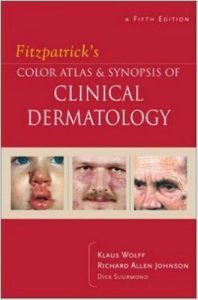 Accurately diagnose a full range of skin diseases and disorders, from inflammatory conditions through infections and infestations, reactive disorders and drug eruptions, disorders of pigmentation, benign and malignant lesions, and disorders of the hair and nails, to cutaneous manifestations of systemic disease. Master dermatologic surgery techniques including biopsies, electrosurgery, cryotherapy, photodynamic therapy, Mohs micrographic surgery, laser surgery, and wound healing. Effectively assess pediatric and geriatric conditions with complete, separate chapters on these important areas. Find the information you need quickly thanks to a compact, quick-reference format. Approach clinical challenges from any direction with appendices that organize differential diagnoses by primary lesion, morphological groups, and anatomical region, as well as pediatric differential diagnoses. 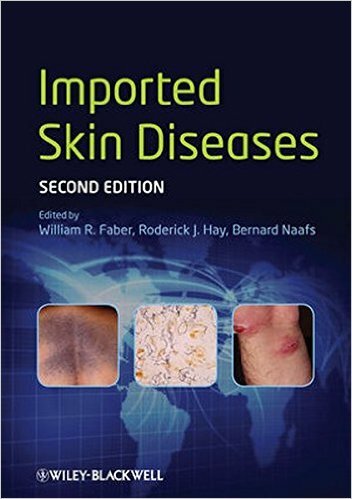 This succinct, expert authored guide clearly, systematically reviews more than 100 of the most common and challenging skin disorders. Featuring an easy-to-follow, full-color presentation, it clarifies diagnosis and treatment, giving you a solid grasp of the latest clinical protocols.